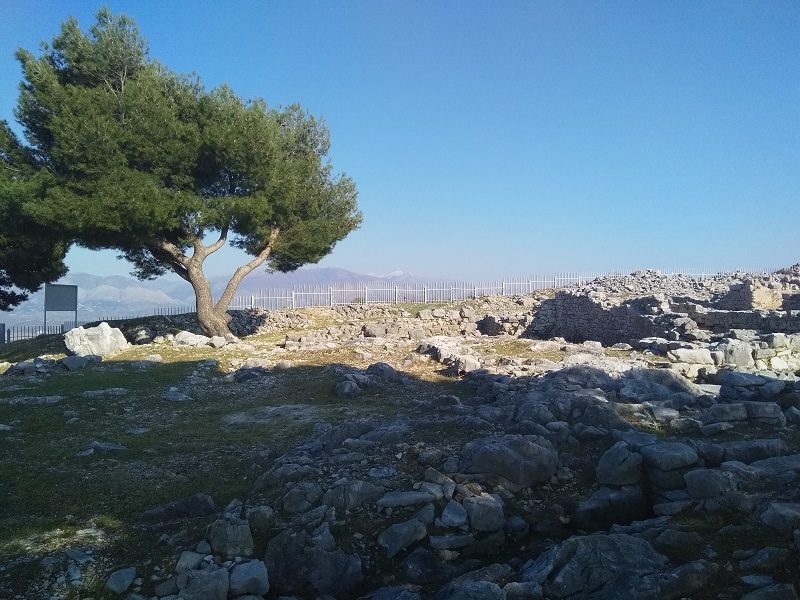 Today, the 40 Saints Monastery in Saranda is nothing more than a ruin, but it remains an important visitor attraction. In fact, the 40 Saints Monastery is responsible for giving the Albanian town of Saranda its name. “Saranda” is an approximation of the Greek word for 40—σαράντα (Saránta). 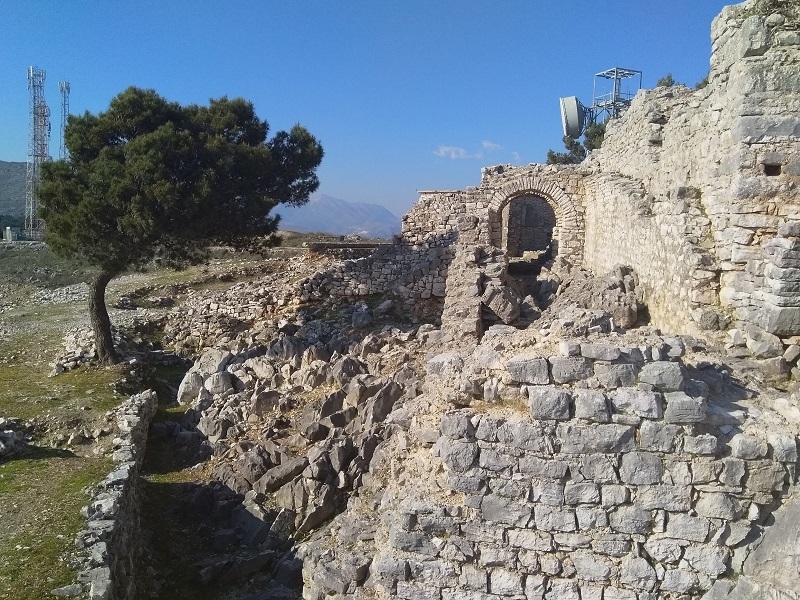 Even if wandering around ruins is not your thing, visiting the 40 Saints Monastery is still a worthwhile expedition because, like Lëkurësi Castle, it offers some fantastic views of Saranda and the surrounding area. You can see the castle from the monastery as well because it’s situated on an adjacent mountain top. Getting to either destination actually involves taking the same initial route. The only difference is you eventually have to head right for Lëkurësi Castle and turn left for 40 Saints Monastery. If you like walking you could probably walk from the top of one mountain to the other in around 40 minutes. They are only about 3km apart [MAP]. Although some sources state the 40 Saints Monastery in Saranda got its name because 40 Christian Martyrs lost their lives there, that does not appear to be the case. The monastery dates back to the 6th Century and was built in dedication to the 40 Martyrs of Sebaste who lost their lives in the city of Sebaste in Lower Armenia. Sebaste in now called Sivas and has been absorbed into present-day Turkey. The 40 Martyrs were a group of brave Roman soldiers who were tortured and put to death because they refused to renounce Christianity. Their story touched the hearts of many people and a number of countries, including Bulgaria and Macedonia, have places of worship that were built in their honour. Although it was no longer in use, the 40 Saints Monastery remained in reasonably good condition until 1944. Then it was bombed by British soldiers who believed it to be the hiding place of a German garrison. These days, the site is mostly stones and rubble, but it’s still possible to get an idea of how things used to be. 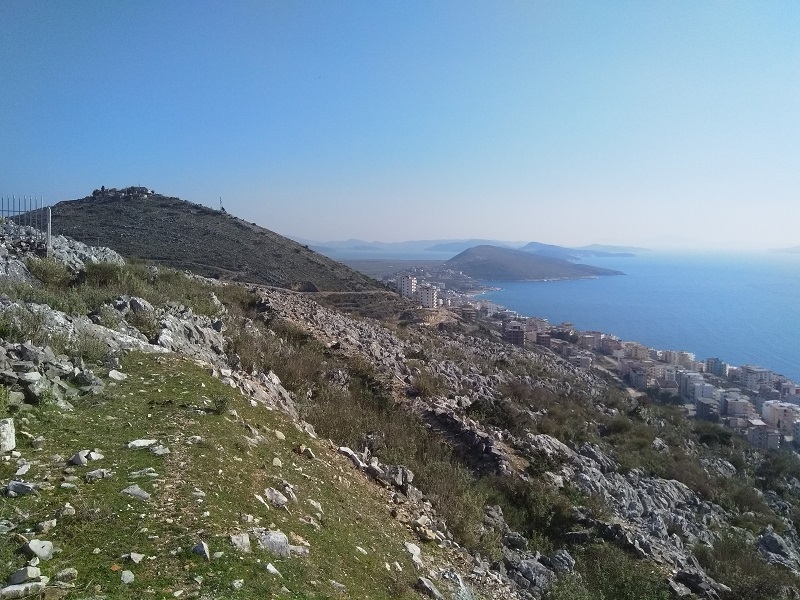 Personally, visiting ruins does not offer much appeal, but there are not many things to do in Saranda and I knew before I walked to 40 Saints Monastery I would be guaranteed some fantastic views. It’s the only reason I went and I was not disappointed. I also enjoyed the walk up the mountain, it takes you past a pretty impressive mosque. However, for anyone who has mobility issues or other health problems, it may be best to skip the walk and make the journey to 40 Saints Monastery via taxi. It’s rough terrain towards the top, but a car should be able to get most of the way. I also couldn’t help but notice the site offers a somewhat unusual pairing of old and new. Standing side by side with the ruined buildings there are some mobile phone transmitter towers. It’s a strange combination, but at least people who find the walk to 40 Martyrs Monastery makes them feel hungry will have a very good signal if they decide to ring and order a pizza. Next Article Next Article: Does Rolling Clothes Really Save Space When Packing? You Bet!